We’re at a critical juncture, everyone. Plant-based versions of meats and dairy products have never been more popular. Vegans and others who eat plant-based diets can find wonderful foods at nearly every grocery store in any city you’d care to name. Those of us who’ve switched our diets from animals to plants are finally living in a world where our meat-free food needs can be easily met. Now’s the time to work on getting our omnivorous friends into the plant-based camp. To do that, we have to get them to try plant-based alternative foods — especially meats. Some plant-based products are already working on it. A great example is Beyond Meat’s Beyond Burger. If you want to find a Beyond Burger, you must look for it in the meat aisle. 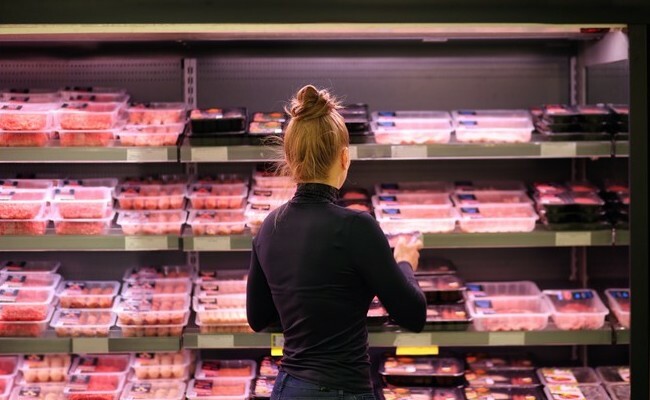 The same goes for Sainsbury’s in the U.K. Its new line of vegan-friendly faux meats will be shelved with the traditional meats. Of course, most vegetarians hate having to venture anywhere near a meat counter. As a vegan, I understand that. There’s nothing I want to see less than packaged animal body parts, waiting to go home to be thoughtlessly consumed. Normally, I never go near the meat section of the grocery store. 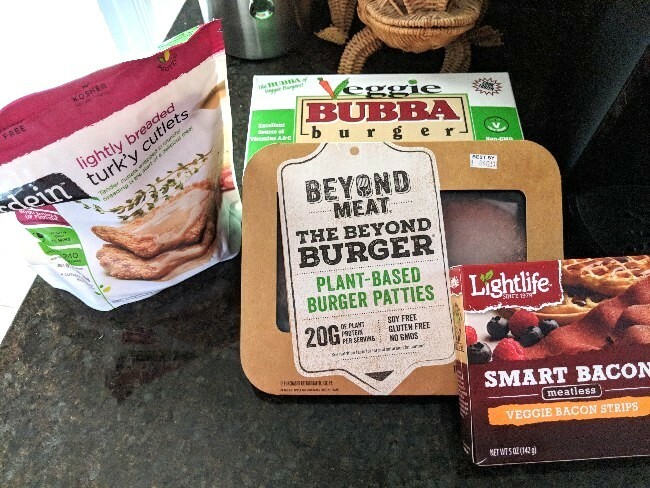 I make an exception when I’m looking for Beyond Burgers or any other plant-based meat product that’s sold alongside animal meat. I actually like that plant-based burgers are placed right beside the animal meat burgers. Why? Because that’s how you get meat eaters to try them. It’s critically important that these products get the widest possible exposure to more than just vegan niche eaters. To try these foods, consumers have to see them in the store. And that means putting them in the spot where they typically pick up their weekly ground beef purchase. That’s a risky move, but it’s paying off. These days, Beyond Burgers and Beyond Sausages sell out in records time. They’ve become so popular they’re hard to find. 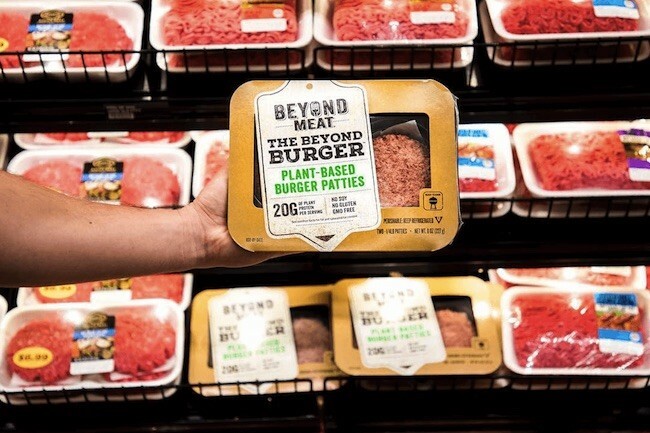 Beyond Meat has a Colorado regional manager for Whole Foods to thank for being the first store to agree to carry this product in the meat case. Brown’s correct, of course. We plant-based eaters gravitate to the “health food” or the “alternative meat” sections of the store to find the products we want. No one else goes over there. It’s like there’s a Klingon cloaking device force-shielding that aisle from intrusion by any other type of shopper. A vegan product can’t take off among the omnivores if they never even see it in the store. Not surprisingly, perhaps, 81 percent of those surveyed in a study said the reason they didn’t go vegan is because they “like the taste of meat too much.” That doesn’t say much for their empathy, but let’s go with that as a reason. If we can show these people that there’s a kinder option that still gives them a pretty darn good, realistic tasting burger, the primary excuse for eating animals disappears. The next time these people face the question of whether or not to give up meat, the choice becomes infinitely easier. Plant-based milks are already situated in the dairy case alongside the cow milk options. Even if the Food and Drug Administration forces producers to stop calling this product “milk,” we know what it is and where to find it. These alternative milks are gaining ground even among those who don’t identify as plant-based eaters. Some of that has to be due to just seeing the product in the dairy case and giving it a try. The same will be true of alternative meats, if they’re properly positioned in the grocery store. Vegans, don’t feel too bad about having to go to the meat aisle to find these plant-based burgers. Putting them there is strategic. One day, none of us will have to look at animal parts in shrink wrap ever again.